Scott Wilkinson, a VP for Hitachi Telecom, gave a talk about broadband in Japan. The typical broadband fiber connection in Japan is 100 megabits/second, and typically costs about $58/month; costs have dropped 66% in the past four years. Most broadband connections in Japan are data only, so the "triple play" is not a big consideration. The connections support video on demand, which is very popular, but there is no broadcast television content. The connections work very well for video on demand, with near real time viewing (i.e. no long wait to download before viewing). 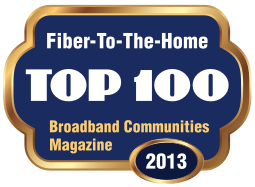 Fiber To The Home (FTTH) is growing rapidly in Japan, and the big loser is cable modem service. The electric companies in Japan are NOT offering Broadband over Powerline (BPL), but instead are selling fiber service, which should be a clue to communities that think BPL is the way to go. ADSL is seen as a problem in Japan, even though it has a high subscriber base. ADSL and VDSL are both available and offer much higher data rates than typical DSL services in the U.S., but the distance senstivity is a big issue, as subscribers just a few blocks away from each other can end up with very different levels of service. The typical range of applications in Japan are very similar to the applications and services in the U.S., but the Japanese service providers have found that when people are given more bandwidth, they use it, which refutes the telco argument that no one has a need for high bandwidth connections. One of the trends is more work from home and from remote locations; the high bandwidth supports high quality videoconferencing and actually often provides a better level of service than is available in some business offices. So affordable broadband has become an engine for new kinds of work opportunities. When I tell people that the target for broadband ought to be 155 megabits or better, many scoff at me, even though I have plenty of information that shows we need that much for the things we all want to be doing in less than a decade. Unfortunately, the FCC continues to prop up the incumbent telephone and cable companies by calling broadband anything faster than 256 kilobits. This allows the incumbents to tell poorly informed elected leaders and economic developers in our communities that cable modem and DSL service offerings exceed Federal government recommendations by a wide margin, when in fact the 1-3 megabit throughput of DSL and cable modems is woefully inadequate. Not knowing anything else about the issue, many leaders decide they don't need to do anything, since the community "already has broadband." It's video that will drive much of the bandwidth needs, and with high definition (HD) programming becoming more common, you need, depending on whom you ask, somewhere between 3-8 megabits for a single HD video stream. With the average American household having 3.68 televisions, you have to design your network to support four of those video streams simultaneously, or somewhere around 40-50 megabits/second just to watch TV. And you have to be able to handle approximately a 3x "burst" capacity when you decide to watch a video downloaded via the Internet. But my figure of 155 megabits is still setting the bar awfully low. Our Canadian (CANARIE) friends are already doing advanced testing of immersive, multi-party videoconferencing with enhanced audio services called High Definition Ultra-Videoconferencing. The system uses 3.5 gigabits/second in each direction--or about 22 times more bandwidth than my recommendation of 155 megabits/second. Of course, it takes an all fiber system to do this. Fiber continues to be the best futureproofing a community can undertake, as it can handle whatever bandwidth needs we want to throw at it, just by swapping out the electronics at the ends. For a sobering look at the future, this article on South Korea is a wake-up for anyone who thinks the United States is technology savvy. New technology does not get tested in the U.S. anymore; instead, software and hardware firms go to South Korea, where virtually every household and business has broadband, most cellphones also have data connections, and everyone is jacked in. Massive government spending on a national fiber grid has dramatically accelerated the use of broadband, and it's affordable throughout the country. Granted, South Korea's small size gives it some advantages. But the mystery is why our elected and appointed officials seem content to do nothing or worse, hand the keys to the future of our communities over to a a few big companies determined to keep us well behind the rest of the world. West Virginia, just a few miles away from Blacksburg, has jumped to first in the nation with respect to intelligent, pro-community thinking about broadband. The state legislature, unlike more than a dozen other states trying to cripple the ability of communities to promote economic development and to support existing businesses, is saying, "We don't want to do that." Not only that, the state seems ready to give communities the tools they need to chart their own future. This article [link no longer available] has the details. David Levine, director of technology and transformation with the West Virginia Development Office, said creating a cohesive fiber optic network could create a competitive advantage and could help keep technologically inclined West Virginians from leaving the state to find work. "People will be able to work where they live," he said." The bill would explicitly give communities the right to issue bonds to pay for telecommunications infrastructure--just as communities have done safely and securely for decades for other improvements like water, sewer, and schools. It would also explicitly give communities the right to act as a service provider. A Verizon representative expressed skepticism over the bill. What a surprise--a phone company opposes competition. It's almost funny to see Verizon on the short end of the stick. I don't think they have expressed dismay in other states when last minute bills popped up that opposed community telecom projects. This second article notes that Ireland went from 18% unemployment to 3% unemployment because of an intense focus on telecom investments to support communities and open access networks. Ireland, which is about the size of West Virginia, has constructed a fiber ring connecting 123 towns and cities. Any service provider can use the network to deliver services. Here's another quote that shows West Virginia legislators "get it." Committee Chairman John Unger, D-Berkeley, said he and others did consult with Verizon, Adelphia and other companies, but he made no apologies for not releasing the bill to them before it came out of his committee. "The special interest groups think they ought to see the legislation before the legislators see it," he said. "That's where everybody's got it backwards around here. They've got it backwards, because they think that the special interest group ought to draft the legislation and then show it to the Legislature, and that's not the way it should be." The bigger question is why are so many legislators in other states falling for the contorted and misleading information being provided by the telcos and cable companies? And if Ireland has been successful in promoting economic development by building open access networks, why are our legislators seemingly dead set against it (except in West Virginia)? So here's a slogan for you: "Our state--almost as good as Ireland and West Virginia." "One Costa Rican official of an agency seeking to promote the Central American country's software industry said last week that ICE's proposal would be "disastrous" to the country's efforts to grow its software development and outsourcing businesses." That's exactly right, and applies equally to any region of the U.S. trying to encourage the growth of Knowledge Economy businesses. The telecoms really need to face up to the fact that they are no longer in the telephony business--they are in the data transport business, and they need to start acting that way. If they accepted the notion that they are selling bandwidth, not dialtone (or TV programming, for that matter), and upgraded their systems to support the demand for bandwidth, they would find that they could make pretty good money doing that. But pigs may fly first. Take rate is an industry term for the number of customers that agree to buy a service. Take rates are notoriously hard to predict, and historically, take rates for services like telephone and cable service have been very low (e.g. 10%, 15%), meaning it takes years to get most households connected to a new service. The town of Nuenen, Holland recently installed a blown fiber to the home, open access network, and had a remarkable 96% take rate. This means that essentially, every household that is likely to be a customer became one as soon as the service became available. This is the global competition. While U.S. incumbents are gingerly sticking their toes in the waters of *real* high performance broadband by grandly promoting one or two trial projects, overseas, communities are just going ahead and doing what needs to be done. Nuenen's open access network means customers have a choice of providers for their services. Nuenen is proof that not only can it be done, but that there will be customers waiting when the duct goes by the house. Emtelle, which provided the microduct for the project, has a short video and a four page description of the project. There is some sales stuff in both, but I believe microduct is an excellent approach to implementing community broadband networks.